Before New Year arrives, let’s do some maintenance on the house. The biggest thing happening across the country right now is snow. With snow comes accidents. And with accidents comes costly repairs or, dare I say, medical bills. Nobody wants to be the host of the party whose guests have suffered head injuries falling down, or had to leave because the décor caught fire. Don’t become liable, be the warm, inviting house you know you can be. When it comes to winter home safety, here are some measures to take. Restock the batteries, and give these guys a test. Before lighting candles, plugging in holiday lights, or baking you should make sure your fire detectors are active and alert. When it’s cold outside, your walkways are going to be the first thing to go. Clearing these paths of snow or unruly branches is an integral step to preparing your home for company. Next step – throw some salt on it! As far as company is concerned, ice is only good in drinks. It’s winter and your heater has been working overtime. Whether it’s the traditional vents or a scenic fireplace, you have to look out for buildup. Cleaning out vents and chimneys is a majorly effective way to prevent house fires (and to optimize warmth). Fix those stairs. I cannot stress the importance enough of having safe, functional stairs. This goes for both the outdoors and indoors. If everything is in working order, check to make sure you also have stable railing and if it’s outside – salt them down as well. These are especially important in the winter. Carbon monoxide can sneak up on you, make sure you have a protective element in place to keep you safe. Prevent CO poisoning by remembering not to heat your home with a gas range or oven, and to warm your car in an open space and not idling in your car. During the holidays, your home acquires an abundance of new possessions. There’s decoration paraphernalia, the effects from hosting larger crowds, and your personal gift haul. While a home is nothing without tchotchkes, don’t let your possession cause you to look like a hoarder. Home storage, especially in smaller homes, is an art. Hiding belongings in an organized manner is the goal, and we’ve come up with a few solutions for your consideration. Everyone loves a bookcase. Displaying novels in your home is a classic touch to display your smarts, encourage cozying up with a book, and they are great for organizing crafts and office supplies. Don’t take this as a motion to line your shelves in pencil cups and paper. The key to utilizing the storage capacity of a bookcase is boxes – office, and file boxes to be more specific. Find yourself a series of sturdy and aesthetically appealing boxes, insert misc. supplies, then you’re done. Use this to keep thank you cards, craft supplies, photos, old receipts, gift wrapping essentials… organized and easily accessible. Benches are a very utilitarian home accessory: especially if they’re hollow. They are best suited for entryways as a catch-all, or underneath large bay windows. A series of benches can even work together to create bench seating for a breakfast nook, or reading area. Just place a cushion on top, and voila! – you have seating. Store larger items such as extra blankets, pillows, folding chairs, that industrial coffee machine you only get out for company, table leafs, your yearly tree and garlands, holiday lights… The list is practically endless. Regardless of popular belief, cabinets are not just for kitchens. If you have reached a point, where your home accumulation is no longer solved by a couple of drawers, consider a cabinet. 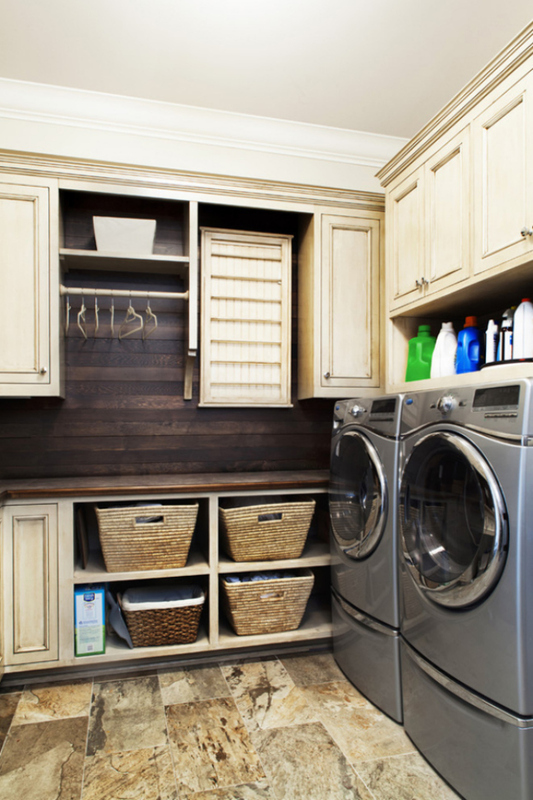 These are great additions for laundry rooms, garages, hobby rooms, or basements. Cabinets can also be unexpected; in an industrial metal kind instead of the typical wood ones. If you place a row of these together, they can even increase surface space, giving you a large counter to work on, further condensing the mess! 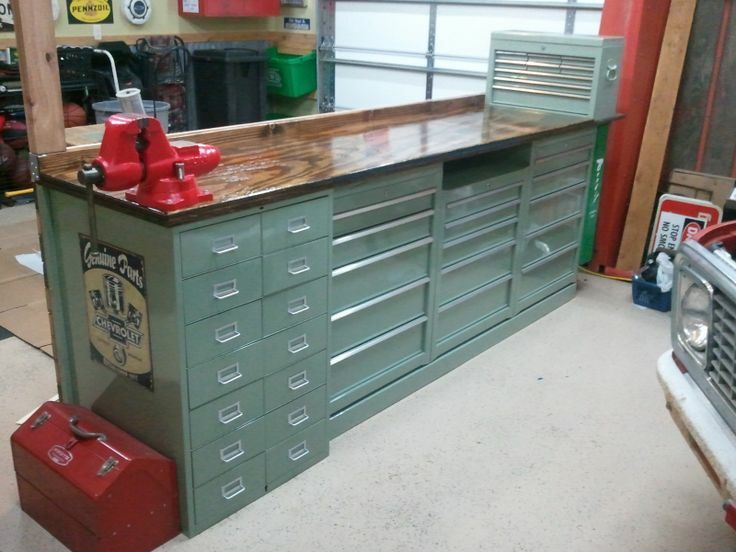 You may remember these wall accessories from such places as the tool bench, or from your mechanics shop. 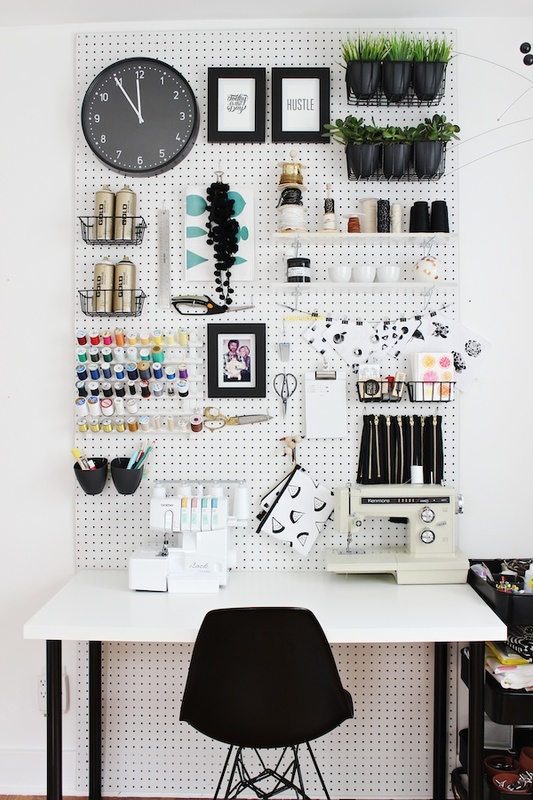 Pegboards are terribly underrated. For any activity that requires a multitude of tools (cooking, crafts, workshops, offices…), these boards will provide easy access as well as visibility. Need a frying pan? Don’t worry about digging through a drawer to find one – because it’s right in front of you! Get more out of wall space, while also improving your task completion time! When it comes to home organization, Handyman Matters is the expert. Anything from installing shelves to creating a more ergonomic work space – we have your back! Don’t let the holidays clutter up your home, give us a call – 866-FIX-MY-HOME. Looking for a few ways to improve your home for the New Year? 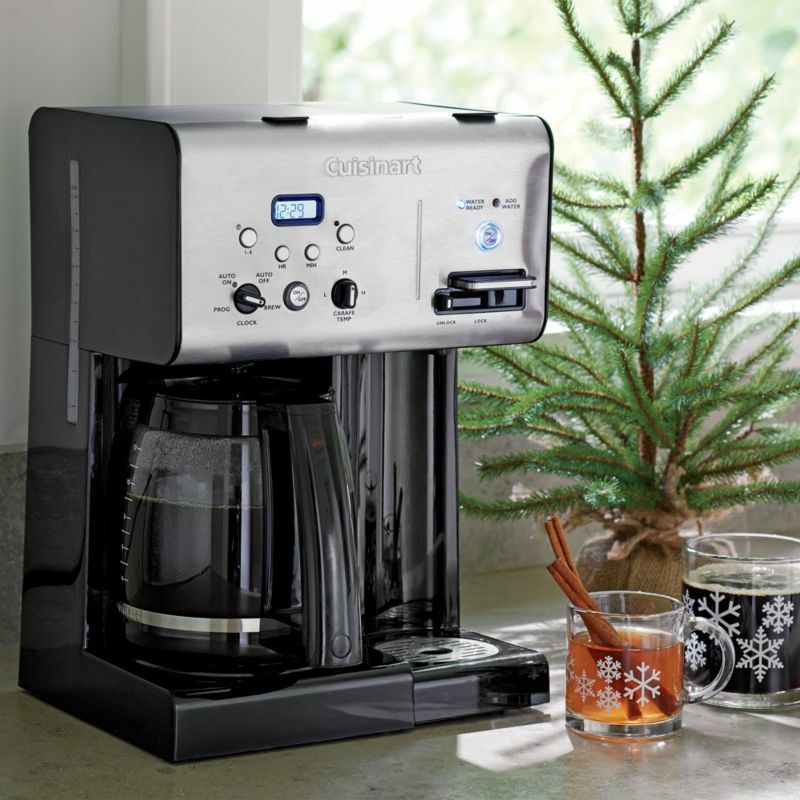 Update your Coffee Machine Waking up to the smell of coffee is a great and affordable luxury. Installing a timer-based coffee machine can help scoop your tired body out of bed during those early mornings. Install a Heater in the Bathroom Taking a hot shower when it’s cold out can be as big of a treat as it is a nightmare. Stepping out of the bath into a cold bathroom when you’re at your most exposed can sometimes be like jumping into cold water. Smooth your transition, and allow yourself a warm space to get dressed before you face the chill of winter. Install a Smart Thermostat Not to continue to harp on heat, but warmth is a big deal during the colder, trying months of the year. 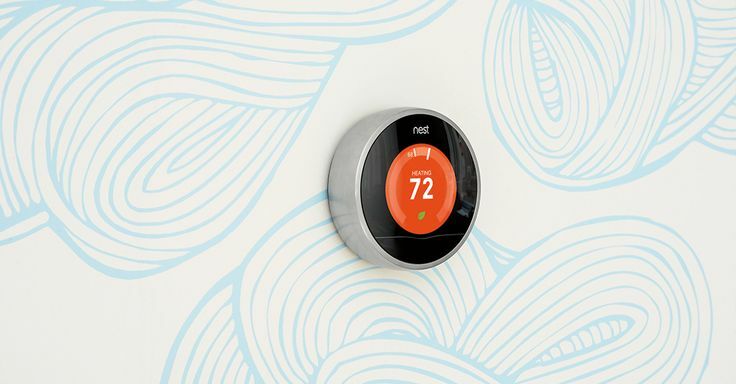 Smart thermostats like Nest will help to regulate your home’s temperature. It can be controlled from an app and will automatically adjust to your home’s needs. If you leave for a trip, it will even sense the inactivity and lower temperatures to save on energy. Switch to an Overhead Light Dimmer Harsh overhead lighting can be a real mood killer. Especially in the evenings, when your eyes are most sensitive, you should be able to adjust and soften the lighting. Expand Your Closet Pretending that you don’t need the space may short term feel frugal and right, but long-term it leads to crazy mountains of button ups and pants on the floor. Overestimating your closets needs is always the way to go. Give yourself an extra rack for room to grow, or perhaps a rack just for highlighting your most prized party dresses. Entertain More! The holidays are always a great reminder of how fun it is to have your favorite people under one roof. Why not foster that kind of space? Creating a sort of parlor in your home for company can be a great excuse to have more parties. It can consist of a special billiards accessory – poker nights are fun – or perhaps it’s more of a casual table setting for dinner and game nights. Think larger, circle tables for optimum conversation abilities, and a comfy cross between dining chairs and armchairs. A Room Of One’s Own Virginia Woolf had it right when she wrote about the importance of having your own space to think and be creative. 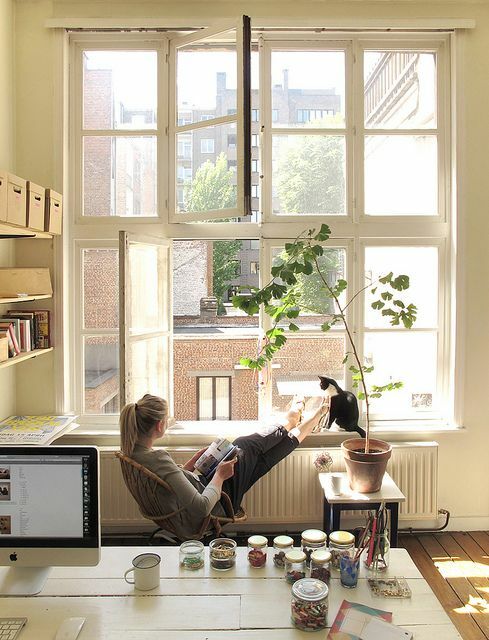 Whether it be an art studio, workroom, office, library, or music room – think about what activity de-stresses you, and make sure you have a place to do that! Let Handyman Matters help usher your home into a new, improved year! The best part about this time of year is all the decorating potential. Have you ever wanted to line your walk with tiny trees? 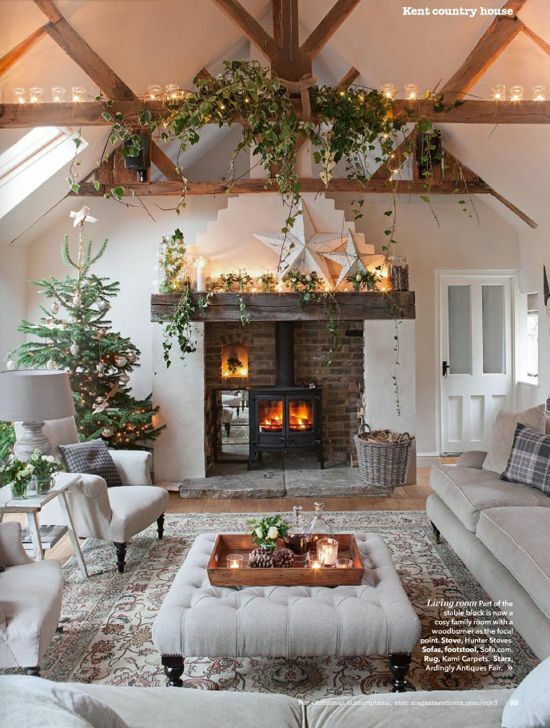 How about outlining every aspect of your home with twinkle lights? Do you have a bunch of gaudy tchotchkes that would look good hung on parts of your home? Is there an old fireplace in your home you couldn’t justify renovating? How about upside-down dried bouquets over archways, or do you simply want to bring more plants indoors? Perhaps you have wanted to do all of these things but you were worried about the response from the rest of the neighborhood. Luckily, it is holiday season, and you have carte blanche. Now’s the time to go crazy! 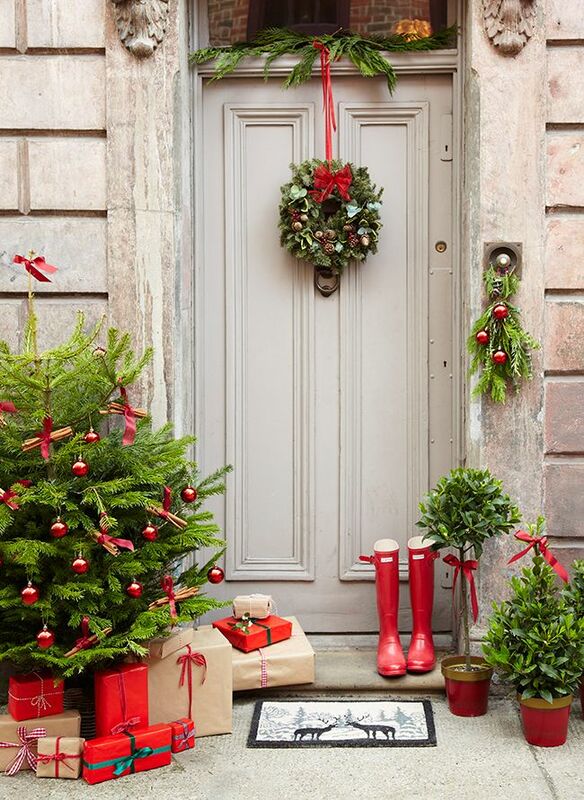 Here are some of our favorite, festive, home improvement projects to inspire your December. It’s cold outside, so what better way to spend your time then huddled with your loved ones, next to a hearth? For a vintage feel, try a wood burning stove. Or, rebuild your mantel! Bold colors and stone work, or exposed brick are also great options. For the truly modern, try one of these futuristic hearths! Inside, outside, in the doorway, on the roof, if you have a decorative plant, get it out. Real garlands our one of our favorite trends this year. They are beautifully whimsical as mantle pieces, above doorways, lining a window… We’re also a fan of unexpected greenery. Trees ranging from large to small, sporadically placed throughout the house only calls for some sort of red or sparkly accessory. Does it light up? Go get it! Candles, string lights, lanterns, globe lights… Even mirrors or glitter will work to fill this refractory role. 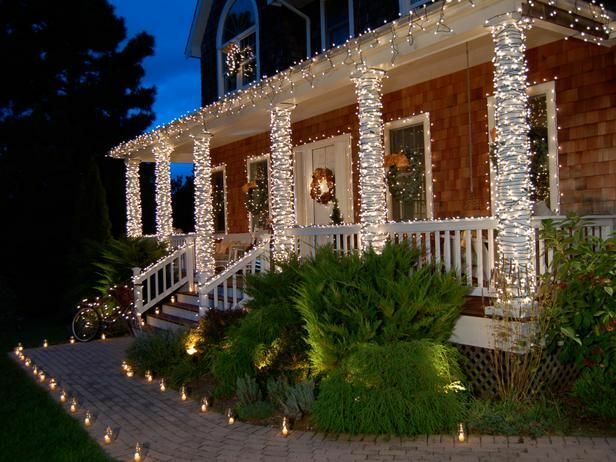 Lining a deck, or a fence with lights makes any home seem ready for company. If you are like Clark Griswold, and don’t want to stop at the obligatory deck lights, feel free to cover every other inch of your home! For the interior, arrange your décor around your homes main communal spaces. Mirrors as the base of the centerpiece on a table with garlands, and glitter snow dust, and candles is exactly that gaudy touch you want to look for. Generally, if it feels like there is too much going on, you are doing it right. During this time of season, some add creativity via large caricatures of holiday symbols. While snowmen are fun, adding small red details to your holiday decorations is a more refined way to add intrigue to a holiday space. The easiest way to do this is with ribbon, preferably the velvet kind. Tie it to literally anything – plants, lights, children, your house – and it will look good. Handyman Matters is particularly great at handling hard to reach or complex holiday decoration requests! If you can dream it – one of our craftsmen can make it happen. 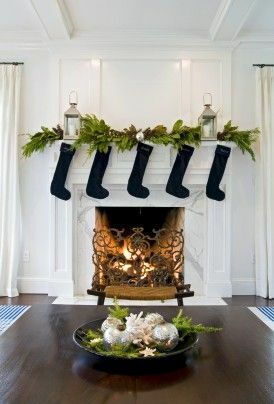 For more inspiring holiday home ideas check out our Pinterest, and the board – The Holiday House!